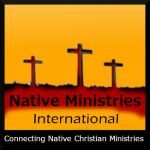 NATIVE MINISTRY INTERNATIONAL (nativemi.org) is a resource to connect all native Christian churches and ministries. Jesus Christ is the Savior, and belief in His death on the cross, burial, and resurrection three days later is the ONLY way to heaven. * If you have another belief there are other sites to join. Please take time to register and e-mail the link to every native church you are aware of. It takes about 3 weeks to have your ministry or church listed. *Not for traditional and/or non-christian practicing churches and ministries. There are other sites to join and get registered on. This site administrator and advisory board reserves all rights for who is listed according to the above requirements. It is my hope that people will find faith in Jesus Christ as Savior and Lord and the many resources posted over time will assist in a person's spiritual growth.